Good morning. GBP/EUR starts the week around the €1.12 mark, recovering some of the losses we saw last week due to the strengthening single currency. Listed below are the main economic data releases that could affect Sterling exchange rates this week – there’s lots of releases that could affect major currency pairs such as GBPEUR, GBPUSD and GBPCAD. If you would like to find out more about what could move rates, discuss our currency services, or just get a quick quote, make a free enquiry today. Monday 27th November – It’s a very quiet start to the week with no releases of note from either the UK or the Eurozone. There are some minor Home Sales and manufacturing numbers from the USA, but nothing much else for the markets to chew on. Tuesday 28th November – Things get a little more interesting today, with some key UK data. At 7am we have the latest UK Bank stress tests. Any signs of the 8 major banks failing this could weigh on Sterling. We also have a Financial stability report and a speech by the BoE governor Mark Carney; his comments often move Sterling so something to watch out for. Over in the USA we have speeches by various members of the Federal Reserve that could move GBP/USD. Those watching GBP/CAD should watch out for a 16:15pm speech by the BoC governor Poloz. Wednesday 29th November – An OPEC meeting today could move various currencies. High oil prices will strengthen the currencies of exporters such as Canada and Norway, but weaken importers like the USA. GBP/USD could also be affect today by the latest US GDP numbers. Also today we have a raft of EU data such as Industrial and Consumer Confidence, and an economic sentiment indicator. The only UK data of note today is mortgage approval numbers. Thursday 30th November – UK consumer confidence numbers today is the only data of note from the UK. GBP/EUR could also be affected by EU unemployment and inflation figures. It’s also another busy day in the USA, with Jobless Claims and Personal income and expenditure figures, all of which could move GBPUSD rates. Friday 1st December – We end the week with Manufacturing PMI numbers from the UK and the EU. Canada has it’s latest GDP figures and unemployment numbers. Over in the USA, we have FED speeches and Manufacturing prices, which could cause volatility for GBPUSD. Looking for competitive exchange rates? We provide regular market commentary to explain what is moving exchange rates. We also provide a foreign exchange service for personal and business clients that need to make large currency transfers. The rates we provide are much better than banks offer, and we can usually beat rates provided by currency brokers. If you have a transfer to make and would like a free quote to compare our rates, get in touch today. 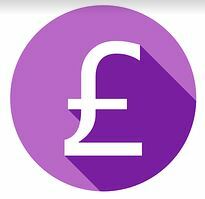 Category: Best Euro exchange rates, Best Exchange Rates, Economic Data, GBPEUR, GBPUSD, Pound, Sterling, What could move exchange rates this week?